Messi has spoken about who he thinks are the favourites for the tournament next year, and named three European giants plus Argentina rivals Brazil. "I would prefer to avoid Spain because of the way they play," Messi told TyC Sports, as quoted by Sport. "They would be a tough rival. The favourites are Spain, Brazil, Germany, France... they're the countries in the best form." The Blaugrana talisman will turn 31 during the tournament next year, which means he will be 35 when the next World Cup in Qatar comes around. "For now, I am thinking about Russia, which is closer. 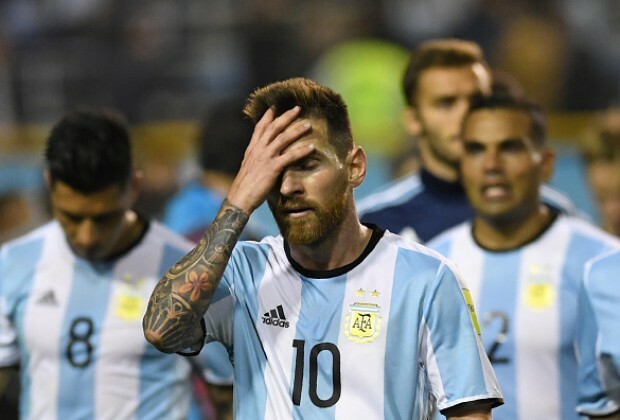 I hope we can achieve what we want, it's everyone's dream to win (the World Cup)," Messi said when asked whether or not he thinks could still play at the tournament in 2022. "Afterwards, we will see how things unfold. This time passes quickly and there's not much time left, we have to take advantage to keep growing." How I wish Portugal and Argentina can be in the same group together with Spain.